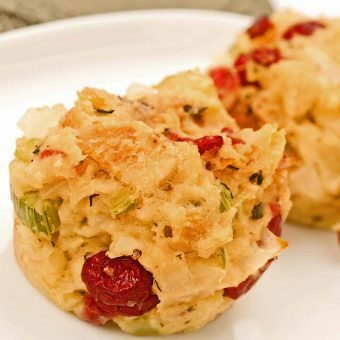 Browse our easy-to-make stuffing recipes including old-fashioned bread stuffing, corn bread stuffing, sausage stuffing and more. 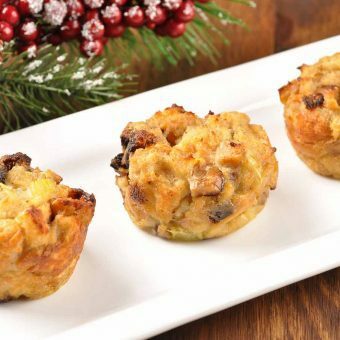 Baked in a muffin pan, these Individual servings of stuffing made with chestnuts and dried figs have a sweet-savory flavor that’s perfect for serving with roasted poultry or pork. 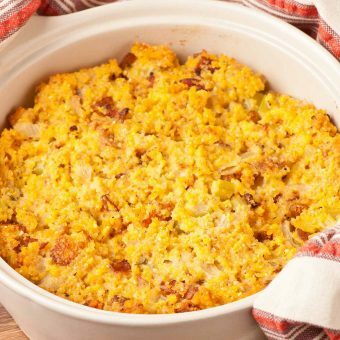 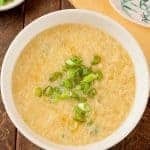 A delicious, easy-to-make recipe for corn bread stuffing flavored with smoky, thick-cut bacon, onion, celery, garlic and fresh thyme. 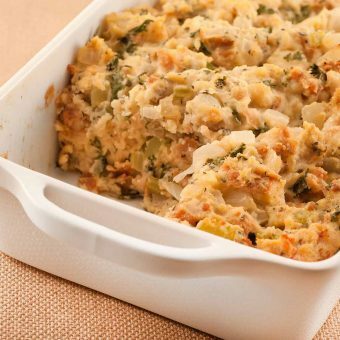 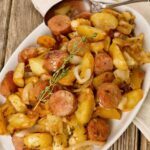 The addition of mild Italian sausage makes a great variation on our moist and delicious old-fashioned bread stuffing. 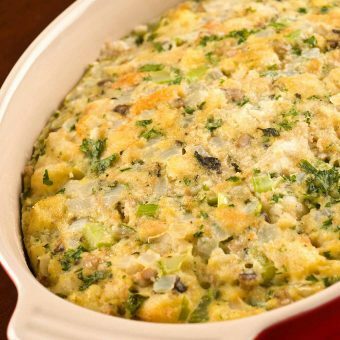 This is a classic bread stuffing recipe that’s super-moist and richly flavored – perfect for serving with roast turkey for Thanksgiving or Christmas. 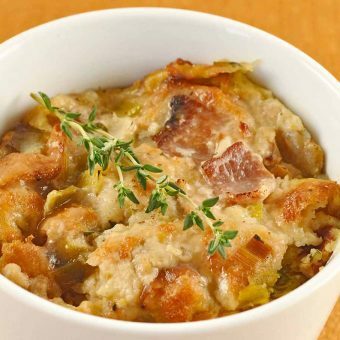 This savory bread pudding flavored with bacon, buttery leeks and fresh thyme has a fluffy, custard-like texture that makes a great side dish and a nice alternative to bread stuffing.